Birthdays, Class Reunions, Corporate Events, Game Day Watch Groups and More. "Where is a great space to have your party?" Sharks is the answer. We have the space. We are a large 14,000 square foot space, therefore, we have plenty of room to reserve some for your event. Plan your corporate event, small business party, class reunion, birthday shindig, holiday party, casual wedding reception or charity poker tournament here at Sharks. We have experienced them all and would love to host more. First come first serve regarding desired area and dates. 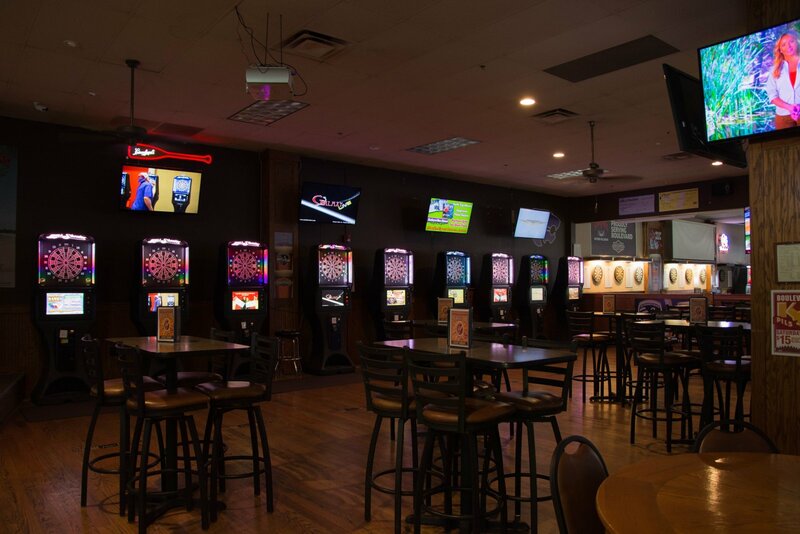 During our Peak seasons October-April we ask that reservation be made by no later than 7:30 p.m. With plenty of entertainment such as a jukebox, ample tvs, pool and darts; these added features will definitely help keep all of your guest entertained. We have buffet options available and every space rental is FREE of charge. You can call Shannon @ (913) 268-4006, fill out the fields to the right and submit, or e-mail us at www.info@sharkskc.com to inquire about making a reservation. Please know that submitting an inquiry on this page does not guarantee a reserved space. If you do not hear from us within 24 hours after submission please contact us @ (913) 268-4006 to confirm reservations. Ideally we would like all buffet orders to be made 5 days in advance. If your time limit is short contact us and we can see what we can arrange. Please call for reservations on groups of 10 people or more.